Xiaomi has unveiled the smartwatch in the form of the Amazfit, and it comes with a reassuringly low price tag. And what to be claimed by the company to be the world’s first smartwatch with a 28nm GPS sensor. The smartwatch is also dust and water resistant with the IP67 certification. It sports a ceramic bezel, which is said to be scratch resistant. While the smartwatch comes with a 22nm band that’s user replaceable. Coming to the specifications, the Xiaomi Amazfit doesn’t disappoint. It includes a 1.34-inch display with the 300 x 300 resolution and there’s a 1.2GHz processor running inside. Since the device is not running Android Wear, we can’t tell if the processor belongs to Samsung’s, Qualcomm’s or MediaTek’s SoC, but we will update you on the matter as soon as it becomes available to us. There is also 512MB of RAM present, and 4GB of the internal memory. Like the case is with wearables, you will not find a large battery capacity present, but a 200mAh cell is decent enough. What’s more is that according to the company, you will be able to rake out 5 days of battery life. It will work with the Mi Fit app to track your statistics and activity. And also features built-in GPS via a 28nm GPS sensor. And with a scratch-resistant ceramic bezel and swappable bands, overall the whole thing looks to be a decent offering from Chinese firm. The device is also IP67 certified, meaning that small splashes of water aren’t going to harm it. However, don’t attempt to take the wearable for a swimming lesson, because it is n’t IP68 certified. A similar example of IP67 certified device would be the HTC 10, which cannot be completely submerged in water, but its chassis still be protected against splashes of water and dust particles. 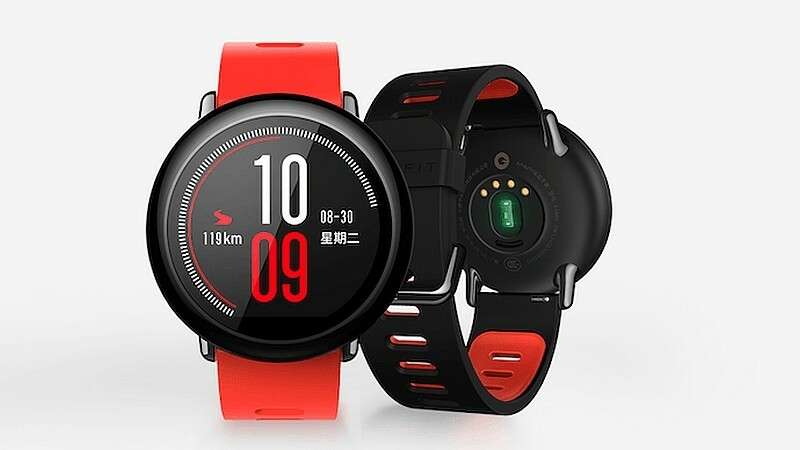 The Amazfit goes on sale in China from August 31.